Three friends embark on a joyous journey of sisterhood, discovering their inner “duende” through a flamenco class for middle-aged women. “Heart Song,” the newest comedy/drama from writer Stephen Sachs, opens at the Fountain Theatre on Saturday, May 25, with Shirley Jo Finney directing and choreography by internationally renowned flamenco dancer Maria “Cha Cha” Bermudez. Pamela Dunlap stars as Rochelle, a middle-aged Jewish woman struggling with a crisis of faith. When Tina (Tamlyn Tomita) convinces her to join a flamenco class for “seasoned” out-of-shape women, Rochelle’s life is changed forever. 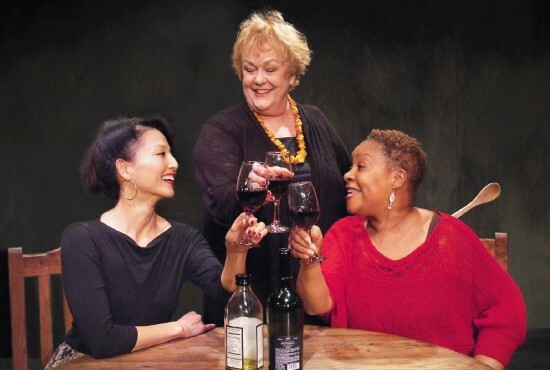 There, she meets Daloris (Juanita Jennings) and an unforgettable circle of women who propel Rochelle on a hilarious and deeply moving course of unexpected self-discovery. The Fountain Theatre, recipient of critical acclaim and multiple awards for its stage productions, is also L.A.’s foremost presenter of flamenco. “Heart Song” performances are on Thursdays, Fridays and Saturdays at 8 p.m. and Sundays at 2 p.m., from May 25 through July 14. Preview performances May 18-24. Tickets are $34, except previews, which are $15. On Thursdays and Fridays only, seniors over 65 and students with ID are $25. The Fountain Theatre is located at 5060 Fountain Ave. (at Normandie) in Los Angeles. Secure, on-site parking is available for $5. The theater is air-conditioned and wheelchair-accessible. For reservations and information, call (323) 663-1525 or go to www.FountainTheatre.com.